Learning the basics of forex trading charts is not that difficult once you put your mind to it. However, just learning the basics is not enough and you will need more than that to be effective. When trading the forex market, it is important that you learn to use these charts effectively so that you determine the correct entry and exit points for maximum profits. These few tips will help you get the most out of your FX trading charts. 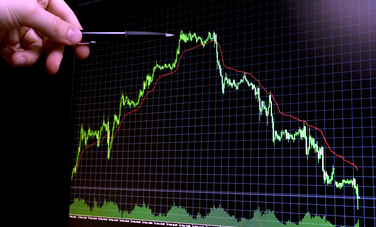 To keep up with the currency trends, it is important that you monitor the currency charts regularly. By regularly I mean as often as once every hour. Some people may think that sounds too excessive and of course, it can be laborious too but the truth is, these efforts give you a better chance. If you want to make money you have to put in the required amount of time and effort. One of the things you should do when monitoring the charts is to make note of any resistance or support levels that are within a 2% range from the opening rate of the day. Also make note of the prevailing trends of the moment as well as the highest and lowest during the previous 3-day period. The intriguing thing about forex charts is learning to apply them to common trading situations. If your trading is on a minor trend or an up-trend and the major trend is towards a downside, you should recognize that your best tactic would be to sell as soon as the price hits before the moving average in the 60 day period. On the other hand, if the minor trend as well as the major trend are both downside, it is better to wait for a while for a small up-trend to happen and then reverse as soon as it enters the market. Another option in this situation is to buy before the day hits the lowest value and have a tight stop order. You’ve learnt to read forex charts and you monitor them regularly. Now what’s left is for you to make sure you use that information correctly. For example, when you check the chart on an hourly basis you get the bigger picture of the trend. Now take a look at the 15-minute type of chart. Does it indicate the same trend or does it show something different? Do you know what action to take in either case? This is something that you need to know. Learning to read and use forex trading charts is exciting and challenging. As you get to know more about them and you learn to use them correctly, you will see your profit margins rising steadily. Don’t hesitate to get in touch with me if you need help with reading or understanding forex trading charts. I would be only too happy to help.